GCCDS started Pop-up Pocket Park as a way to activate the unused and often overlooked urban spaces around the Mississippi Gulf Coast and to engage children and adults in collaborative, creative play through art, music, and games. Although Pop-up Pocket Park contains programmed elements and activities, these pieces are built and arranged with mobility, adaptation, and free play in mind. Visitors are encouraged to create new ways to interact and play and can adapt activities and elements to fit their needs. The moveable furniture encourages visitors to start a conversation, watch a game unfold, or simply rest and relax. 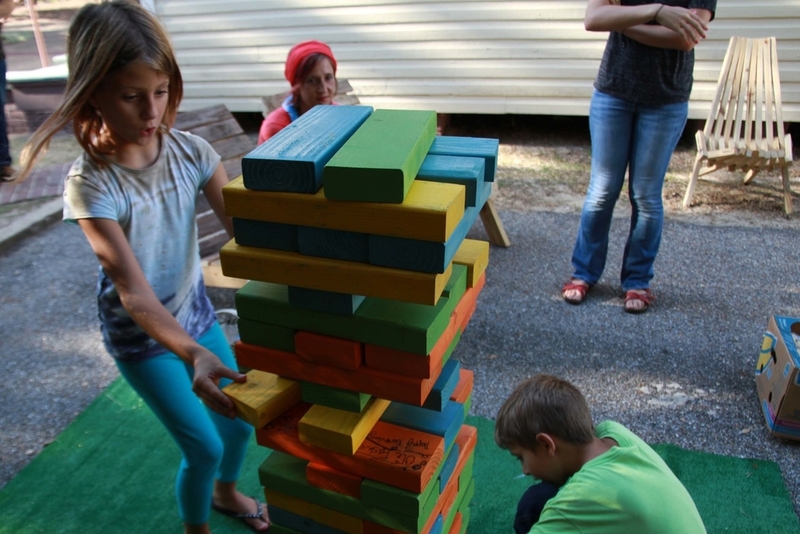 The games and furniture can be used in unexpected ways to create music, draw, build, and play. Activating unused and overlooked spaces with Pop-up Pocket Park highlights the importance of community social space and the positive potential for unused urban areas along the Gulf Coast. The Pop-up Pocket Park is an ongoing and collaborative effort between GCCDS, Walter Anderson Museum of Art (WAMA), Women In Construction (WinC), and The Greenhouse on Porter/Popsicle Movement. During 2014, Pop-up Pocket Park has worked in conjunction with the Biloxi Main Street District on three Pop-up Pocket Parks in Downtown Biloxi. The Pop-up Pocket Park also utilized the open outdoor space at The Walter Anderson Museum of Art at the Peter Anderson Festival in Downtown Ocean Springs, MS. In 2015, Pop-up Pocket Park will be working in conjunction with Biloxi Main Street District, Gulf Port Chamber of Commerce, the Mississippi Gulf Coast Garden Clubs, Ohr’-O’Keefe Museum of Art, and many more municipalities, organizations, and communities along the Mississippi Gulf Coast. Please visit the Pop-up Pocket Park Gulf Coast Facebook Page for the most up-to-date information and future pop-up location!